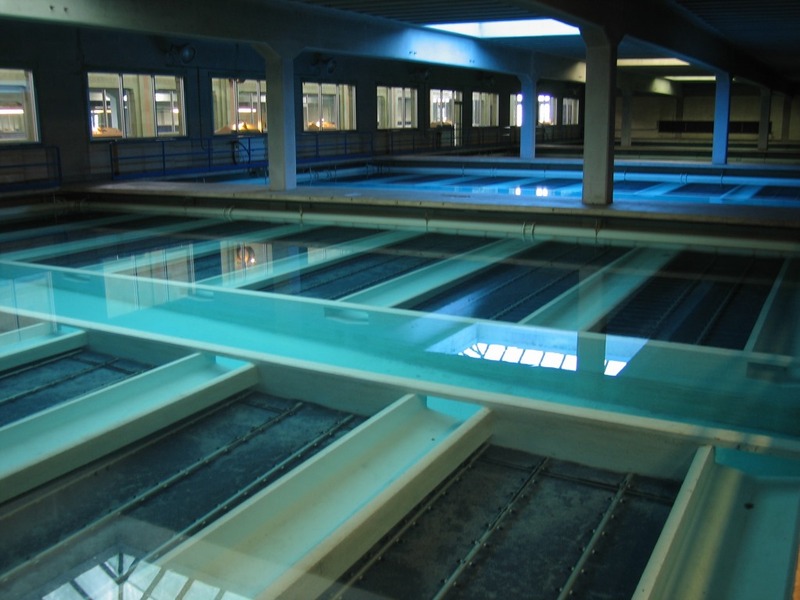 Lake Michigan water being treated at the Milwaukee Water Works’ Linnwood treatment plant. Photo courtesy of Milwaukee Water Works. The City of Milwaukee might become the water service provider for the city of Franklin. Last week, the Common Council’s Steering and Rules Committee voted to approve a resolution that will commence analysis of the potential deal. It’s the first action required on the city’s end for the process to move forward. In October the Franklin’s city engineer and utility manager Glen Morrow sent a letter to Ghassan Korban, Milwaukee’s commissioner of public works, requesting the two parties enter into formal negotiations for water service. Franklin’s current contract with Oak Creek is set to expire in 2024. Right now Milwaukee already provides water to five percent of Franklin residents, but this agreement would mean providing water for the entire suburb. The resolution directing the Department of City Development, the Legislative Reference Bureau and Milwaukee Water Works to begin their due diligence has four co-sponsors in Ald. Jim Bohl, Ald. Russell Stamper, Ald. Mark Borkowski and Council President Ashanti Hamilton. Bohl called the move a “great opportunity,” and the rest of the committee generally shared that sentiment. It also could represent a second blow to Oak Creek, which has recently been replaced by Milwaukee as the water provider for Waukesha. But Ald. Robert Bauman predicted that Franklin won’t be able to meet the city’s criteria for a water sale agreement. Specifically, he was referencing two sections in a 2008 resolution covering water service agreements that will require the southwestern suburb to show it is committed to affordable housing and public transportation between the City of Milwaukee and Franklin. “I don’t think Franklin has a prayer of meeting those two criteria,” he said. The first will require Franklin to show the city has implemented a housing plan that has demonstrably led to affordable housing opportunities across all age groups, resulting in, “racial, age and income diversification.” And the second will require Franklin to show they have a transportation plan that has led to “expansion and improvement” of public transportation connections between Milwaukee and Franklin. He’s all for selling water to Franklin, as long as the city sticks to its criteria. “In my mind if we’re going to provide the taxpayers of Franklin with a financial benefit or a infrastructure benefit, then they ought to provide the citizens of Milwaukee with some benefits,” he said. The Milwaukee Biz Times reported that Franklin has been shopping around for a water service provider and that switching to Milwaukee water would likely save the suburb money through lower rate charges. Just charge them more until they are compliant? Use the revenue on housing and transportation in Milwaukee.